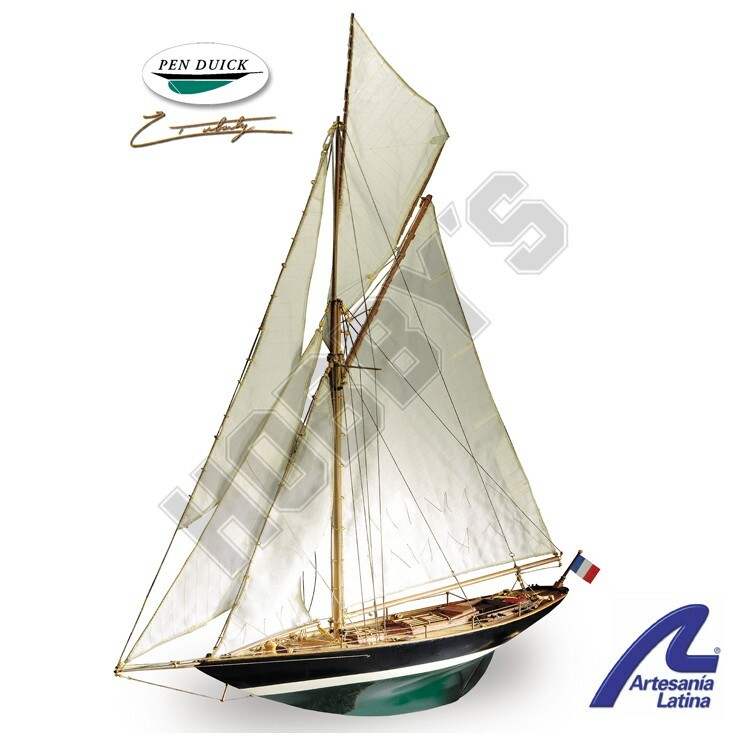 Beautiful regatta cutter dating from 1898,which the prestigious sailor Eric Tabarly saved from a miserable fate,rescuing it from the muddy Loire corner where it was run aground. When he was just seven years old. Eric Tabarly was out walking with his father Guy Tabarly when suddenly the beautiful hull appeared jutting out from the rushes,and with his child's logic he said to himself 'that is no place for a boat to be'. From that very moment a love was born, the first love of a man who gave everything to the sea and who the sea carried away, as the two sailed together the waters of Southeast Wales on the night of 14 June 1998; the same year that the Pen Duick reached it's hundreth birthday.